Wilson Pawluk Bee Family History: Eliza (Bee) Hallett "Eliza Bee Born at Sea"
"Eliza Bee Born at Sea"
Eliza Permain Bee was born at sea on board the sailing ship, Rangoon, while the family was journeying to New Zealand. Her second christian name, Permain was in honour of Captain Permain of the Rangoon. She was the sixth child of George and Mary Bee from Nottingham. They arrived at Napier in 1864 on the Rangoon, which was the first ship to sail direct from London to Napier. Eliza, her parents and the rest of her family were met at Napier by Francis and Anne and their family who had settled in New Zealand in 1842. 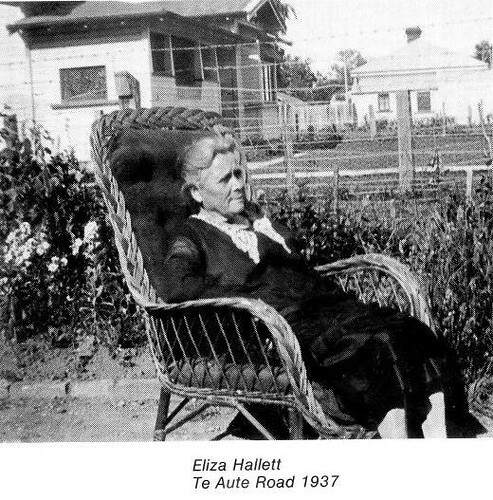 The family settled in Te Aute, Road, Havelock North, where Eliza lived most of her life. Her father, George, was a carpenter and builder by trade built the St. Luke's Anglican Church. The superb craftsmanship to be seen in this building today is a fitting memorial to George Bee. He also built many other buildings in Havelock, including public buildings such as schools and halls. Among many other activities, Eliza sang in the choir of St. Luke's. After Eliza grew up she met Enoch Hallett, who had come from Devon and arrived with his parents, James and Elizabeth, on the ship "Gertrude", in 1841. The Halletts settled in Havelock in the 1860's. Enoch and his brother became surveyors and travelled on horseback from Havelock North to Taupo on numerous surveying trips. Eliza and Enoch were married in Havelock North and had a family of five daughters and a son who were named Beatrice, Jane, Olive, Doris, Eric and Nancy. The family lived in Wairoa for a period, where the eldest three children use to ride to a Country School at Frasertown. They later moved back to Te Aute Road, Havelock North, where Enoch died in 1911. Eliza was faced with the task of bringing up the youngest three children, having had a struggle, but with sheer grit, determination and her pioneering spirit she managed, and proved to be a splendid mother. 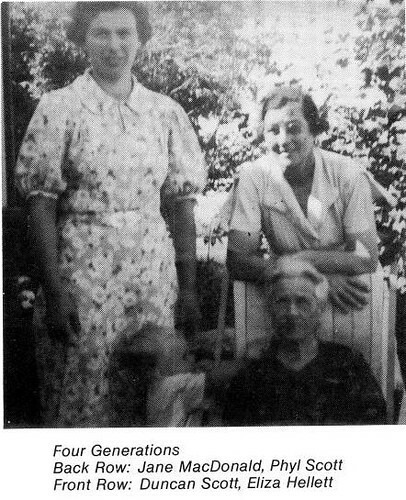 She died in 1941, leaving behind six children, eleven grandchildren and three great grandchildren. Hi I am a great great granddaughter of Eliza Bee. I find this information really cool.